The Law Offices of Law Office of Sharon Rivenson Mark, P.C. will represent your SSDI legal matters. Regularly serves as Court-appointed counsel, Guardian Ad Litem, Court-appointed guardian, conservator, executor and administrator of estates and has served as a mediator in estate and probate matters. Admitted to practice in the State of New York in 1978 and in the State of New Jersey in 1979. Admitted to practice in the Federal District Court for the District of New Jersey, Southern District of New York and Eastern District of New York. Certified as an Elder Law Attorney by the American Bar Association accredited National Elder Law Foundation. To apply for certification, an attorney must have been practicing Elder Law at least five years. The attorney must have handled a certain minimum number of cases in the practice areas that make up Elder Law. The attorney must have taken 45 hours of continuing legal education in Elder Law in the three years preceding the application. The attorney must also take a one-day written exam and provide names of at least five references who are familiar with the attorney's work in the area of Elder Law, at least three of whom must be Elder Law attorneys. Certified Elder Law Attorneys must also be recertified every five years. AV Peer Review Rating An AV certification mark is a significant rating accomplishment a testament to the fact that a lawyer's peers rank her at the highest level of professional excellence. A lawyer must be admitted to the bar for 10 years or more to receive an AV rating. Member of the National Academy of Elder Law Attorneys. President of the New Jersey Chapter of the National Academy of Elder Law Attorneys. Board of Directors of the Guardianship Association of New Jersey, Inc. Member of the Academy of Special Needs Planners. Past Chairperson of the New Jersey State Bar Association Elder Law Section. 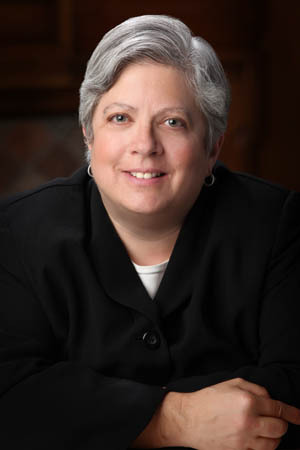 Co-Chairperson of the Hudson County Bar Association, Elder Law Section. Member, Hudson County Bar Association committee on Equity practice. Master in the Hudson County Inns of Court.